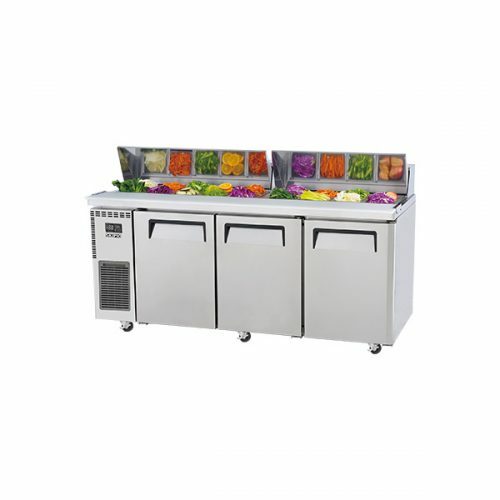 Purchasing a commercial sandwich bar & salad display fridges can bring a fantastic opportunity to your business. 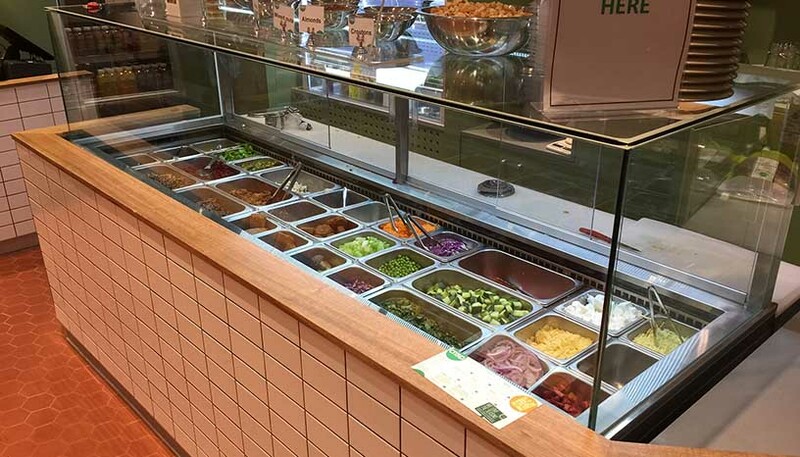 To display fresh salads and sandwiches to your customers, made freshly to the customers liking after all. 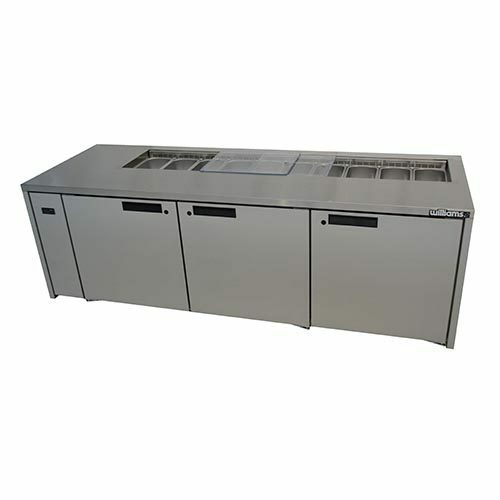 A commercial pizza preparation fridges is a perfect way to keep your productivity up in your commercial service kitchen. 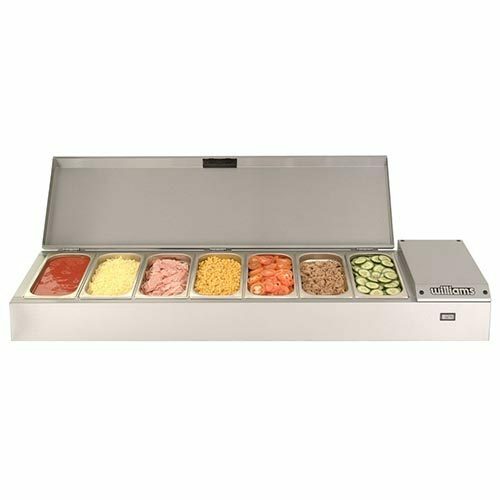 Easily accessing your ingredients from the chilled stainless steel pots for your sandwiches, salads, pizzas and other food preparation. 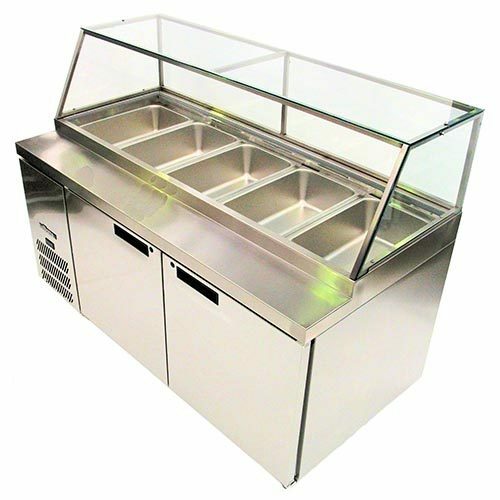 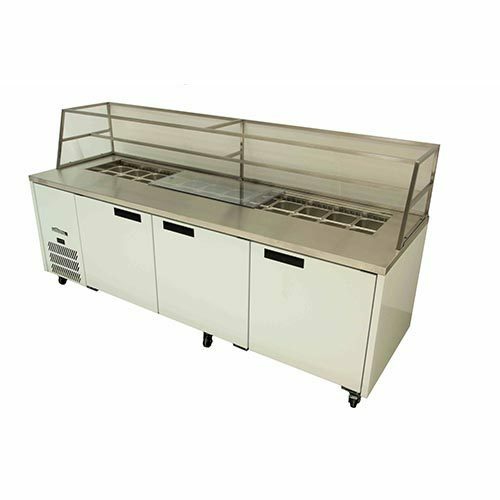 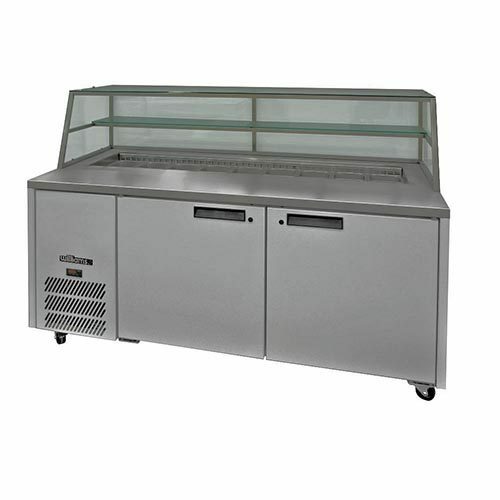 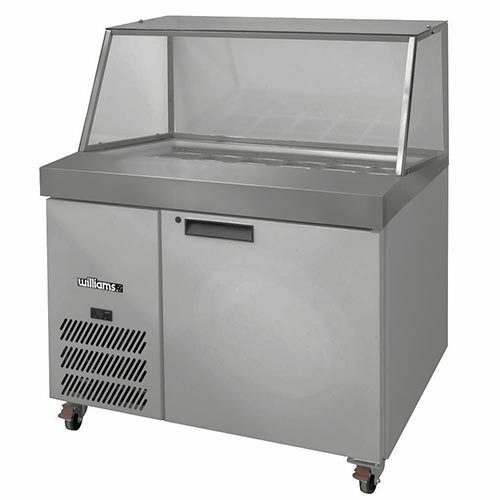 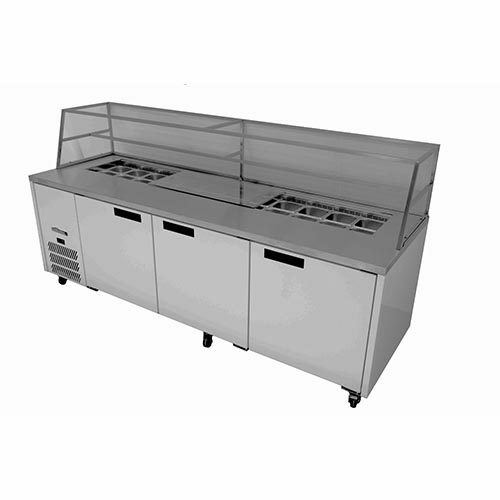 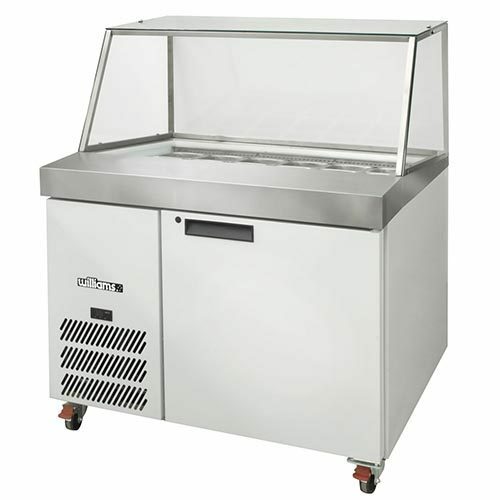 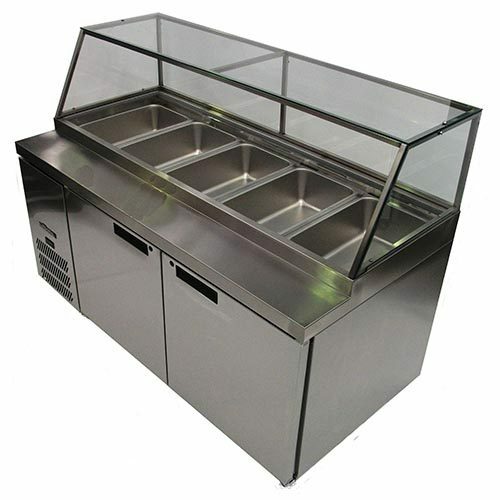 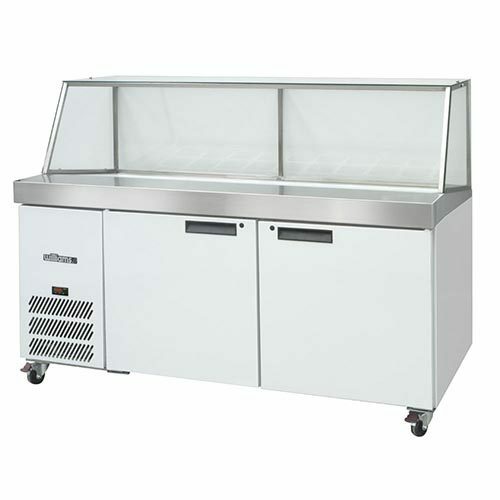 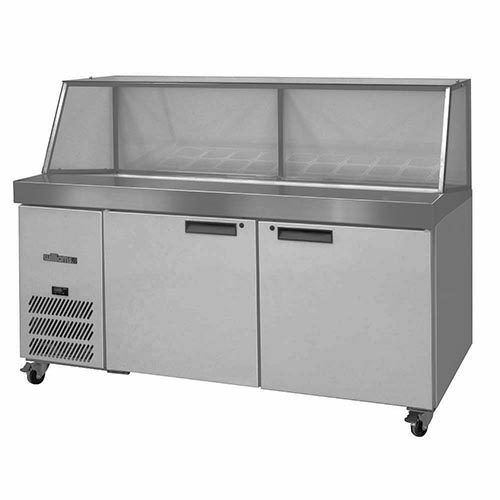 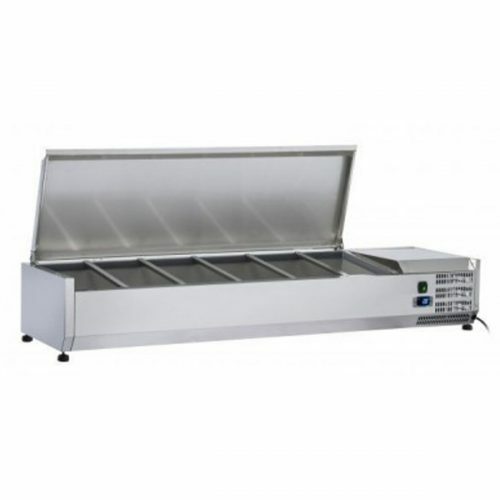 We have a huge range of food prep fridge’s, noodle bars and benchtop counter sandwich bar fridges. 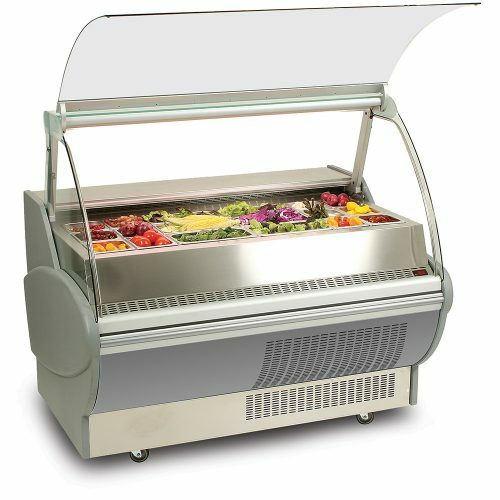 Most come with fan forced chilled air for your sandwich or salads stainless steel pots to stay at a constant safe temperature levels have your busy period. 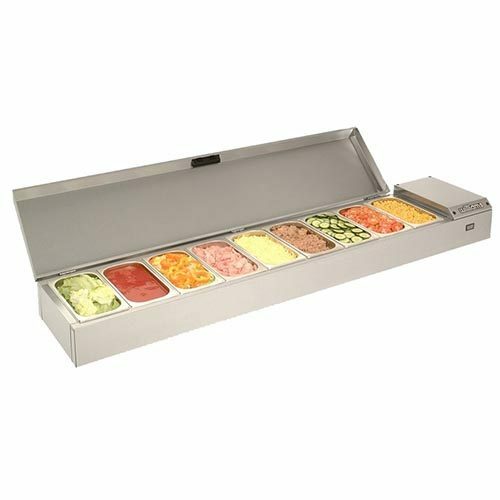 Also, most sandwich prep fridge comes with refrigerated storage underneath, making this an excellent food storage. 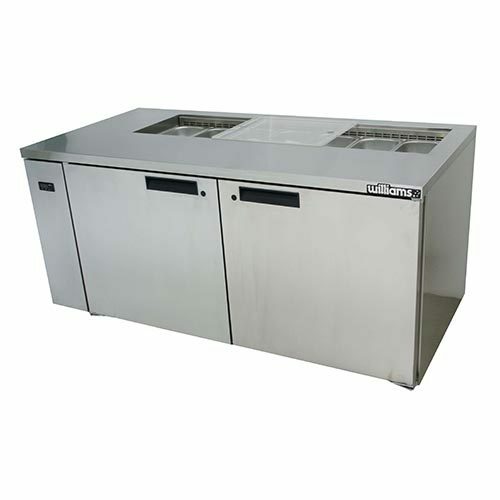 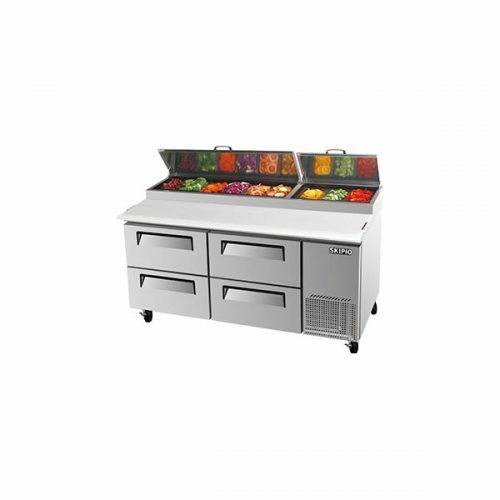 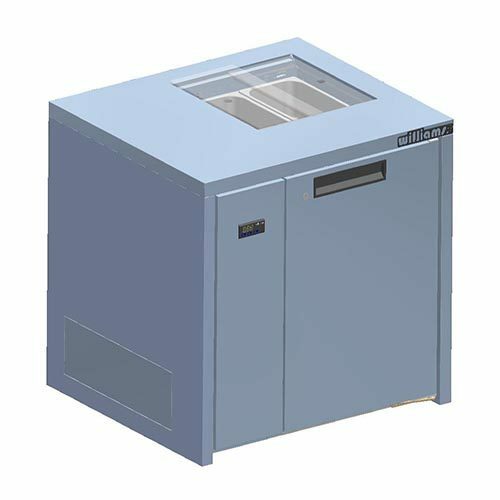 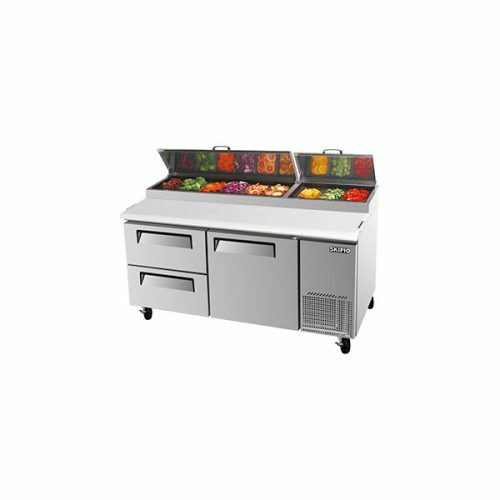 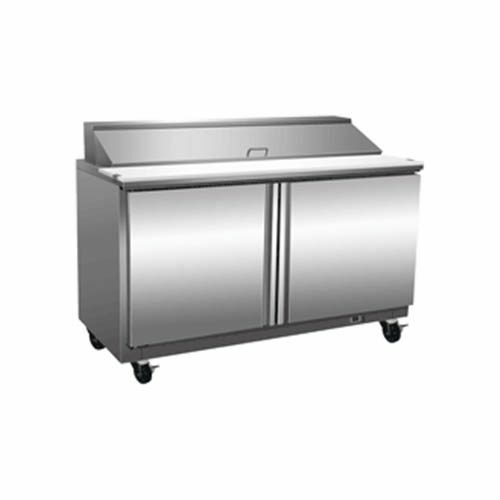 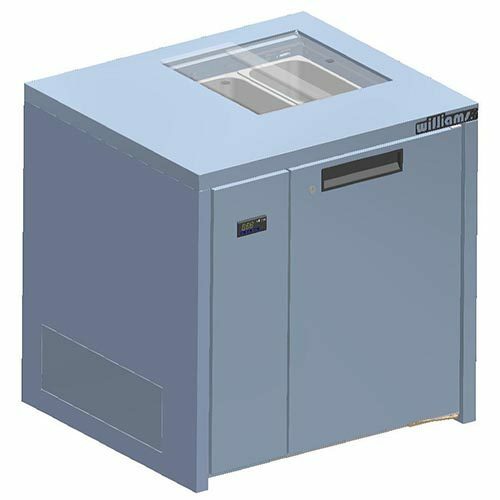 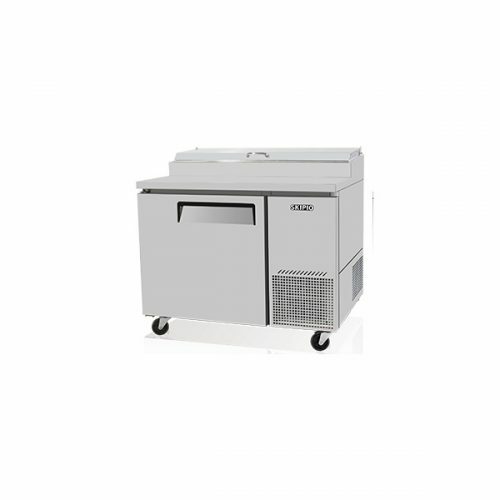 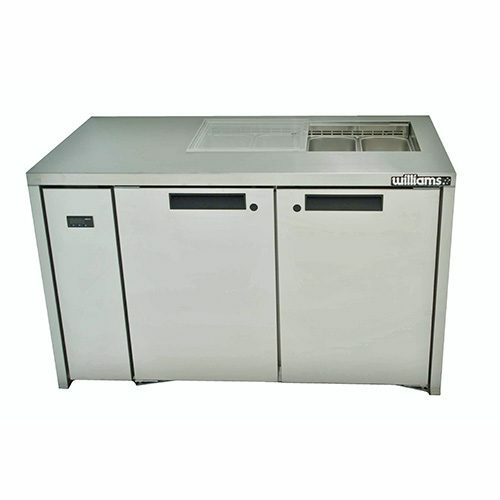 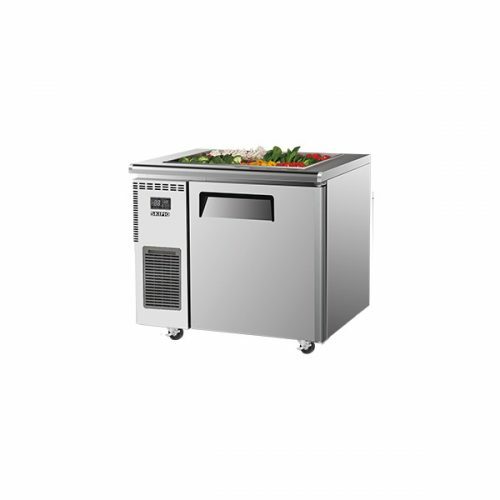 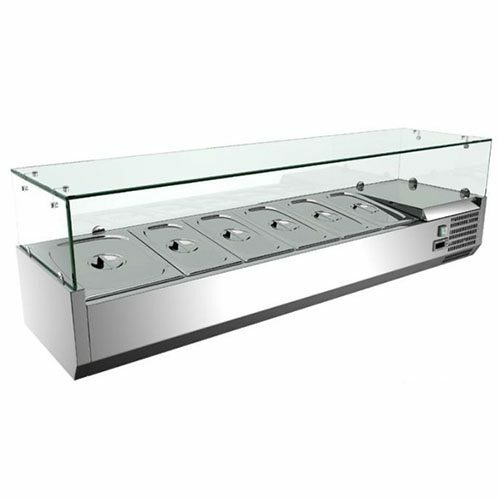 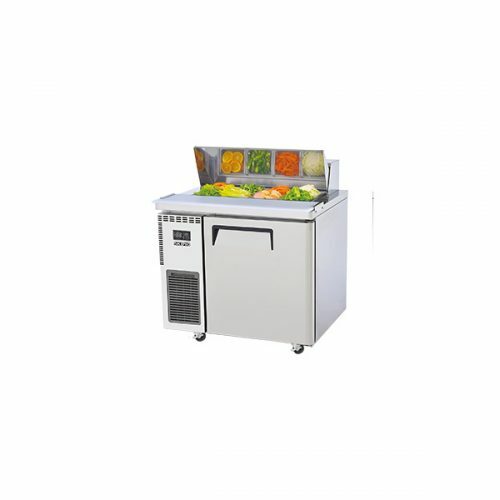 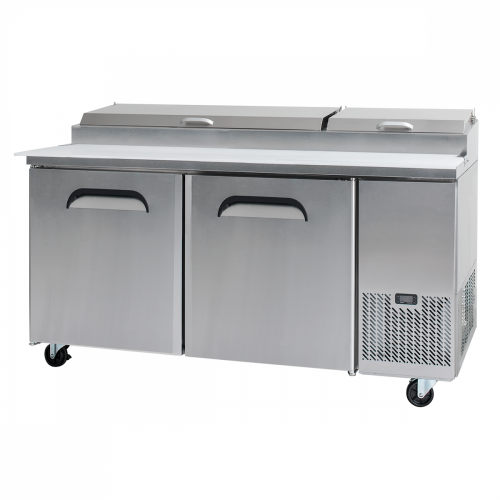 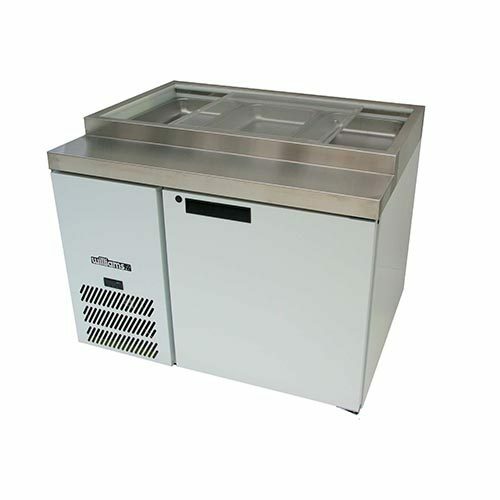 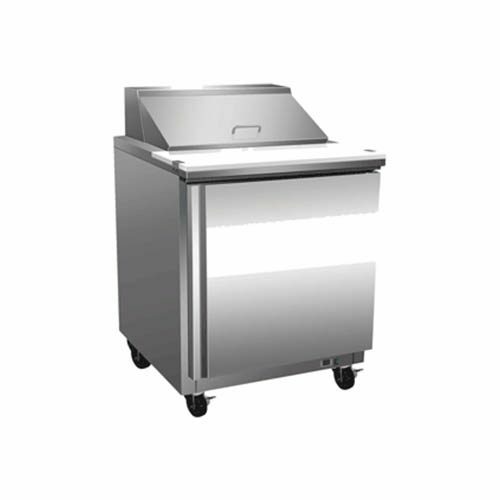 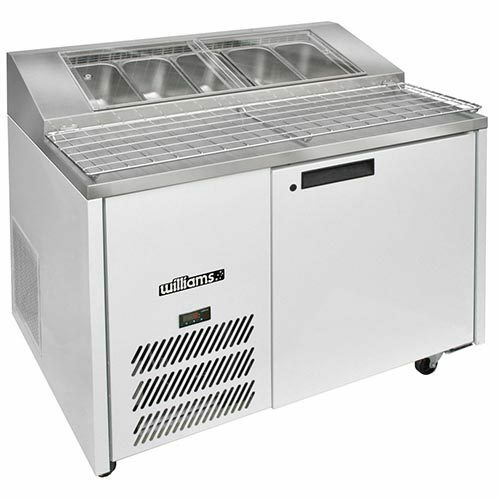 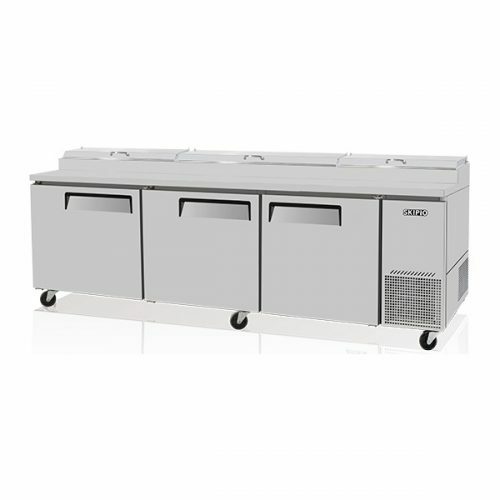 Standard sandwich fridges come with a double row of stainless steel pots, calculated by 1/6 GN (176 × 162 mm) stainless steel row of food pots. 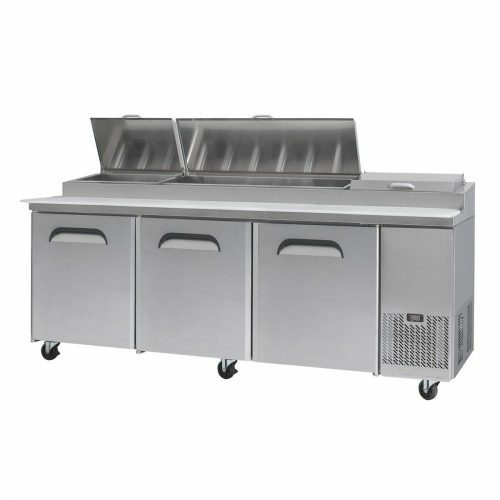 Also, in this photo below, it’s showing stainless steel pots size of 1/6 GN and 1/3 GN. 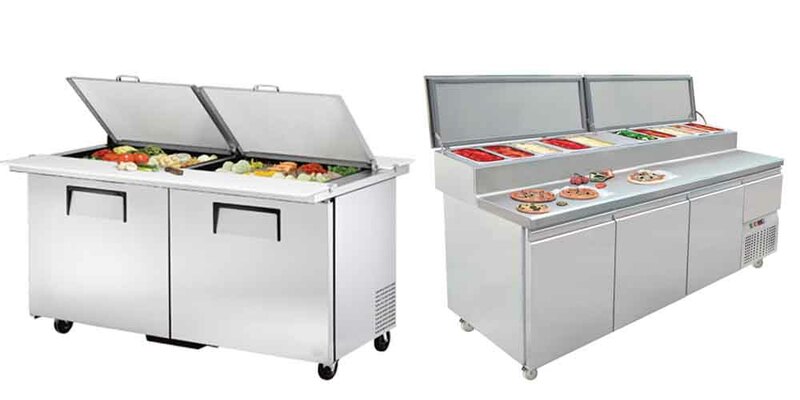 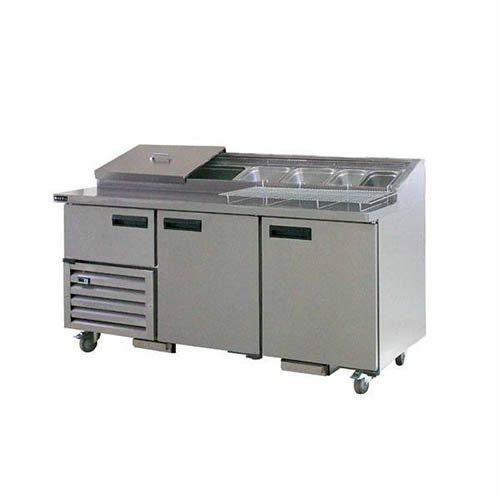 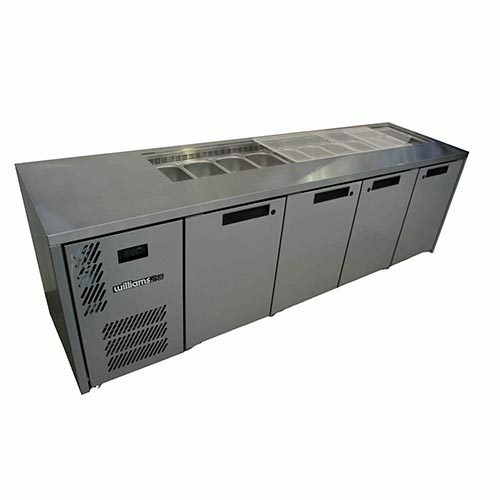 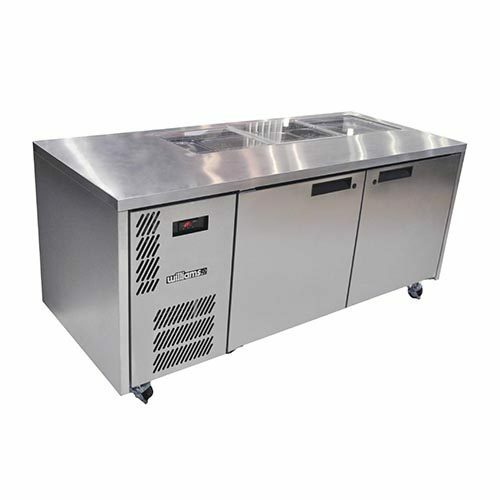 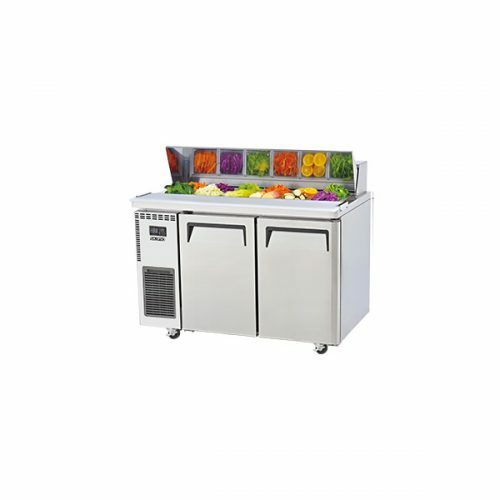 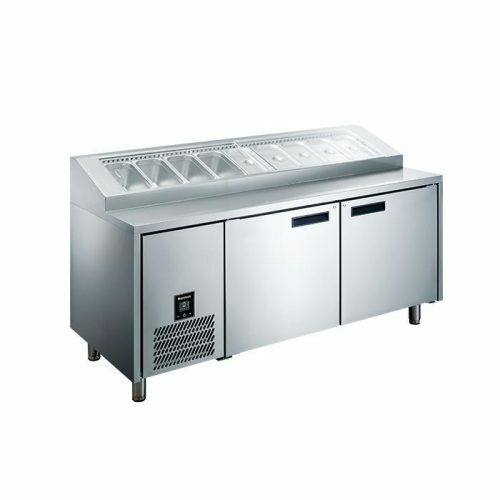 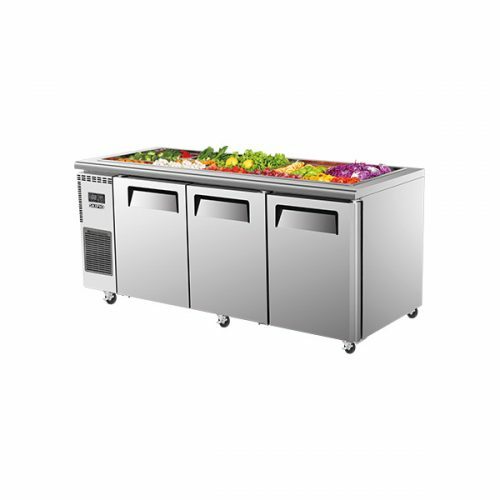 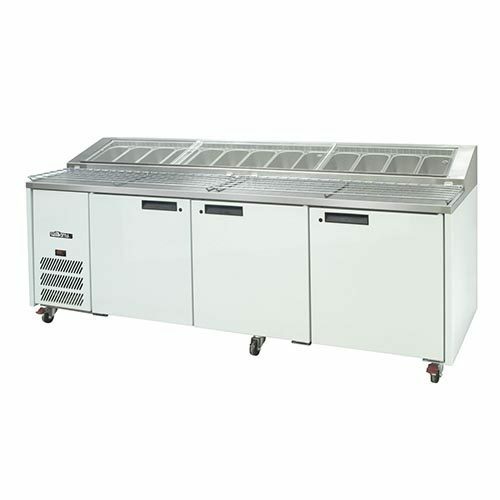 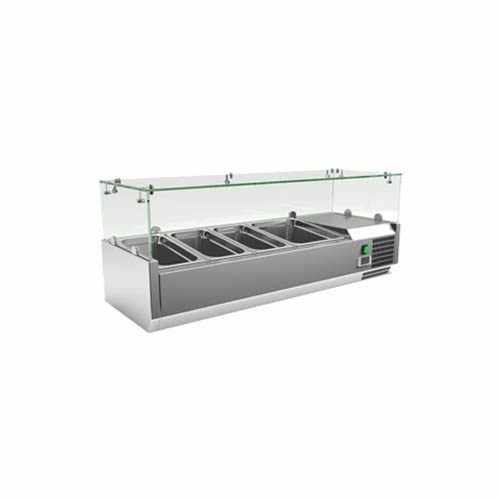 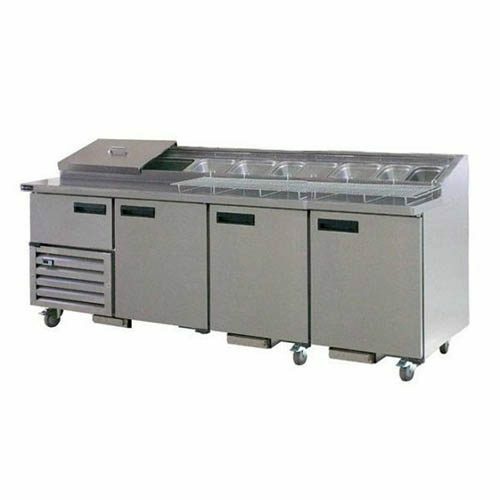 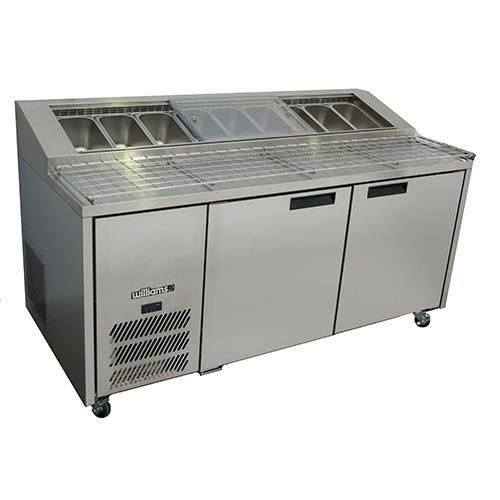 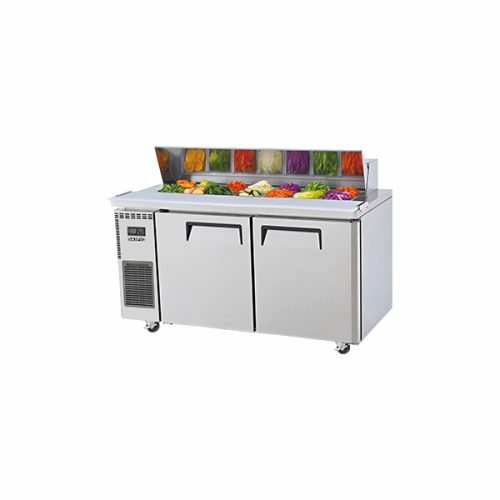 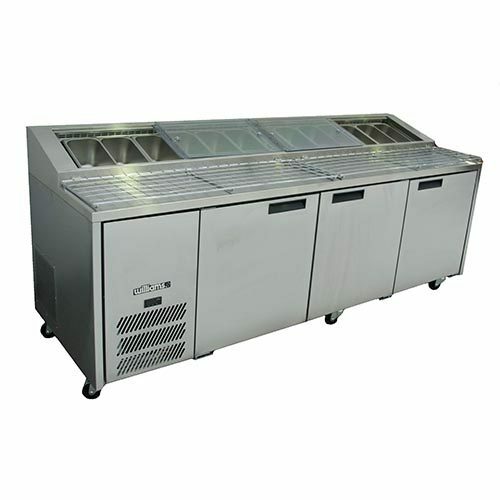 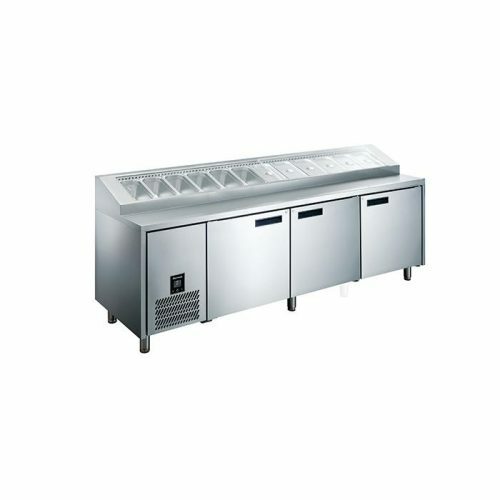 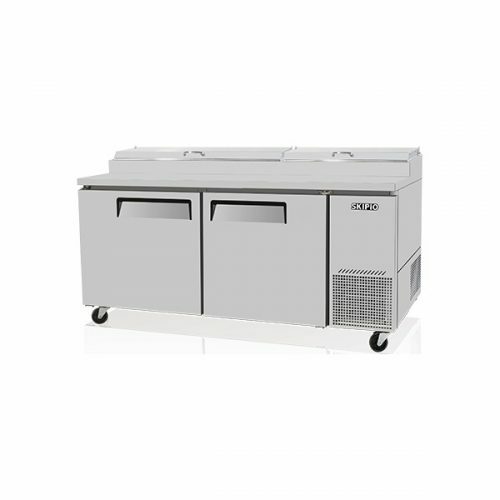 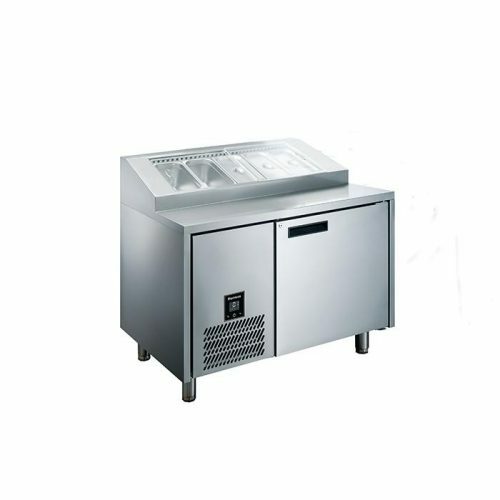 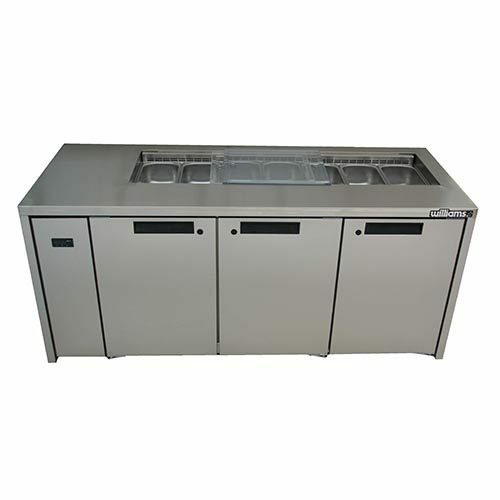 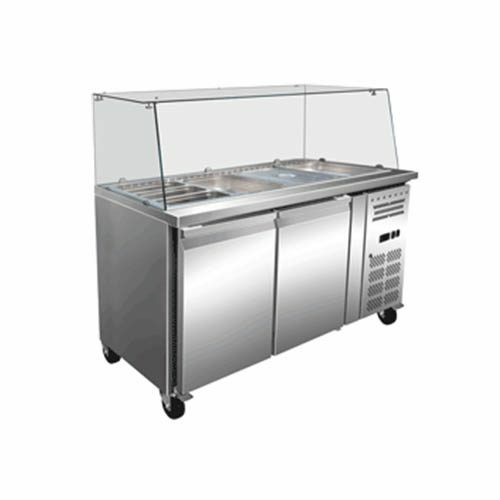 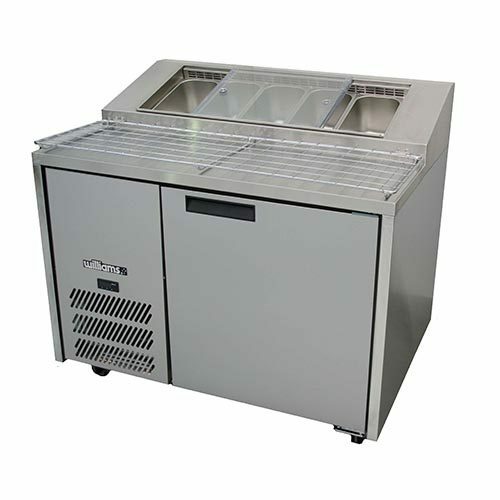 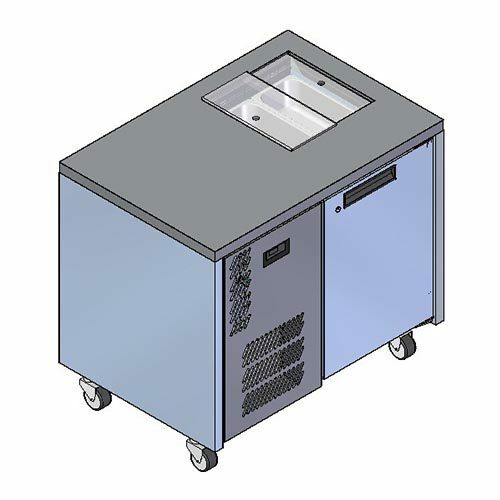 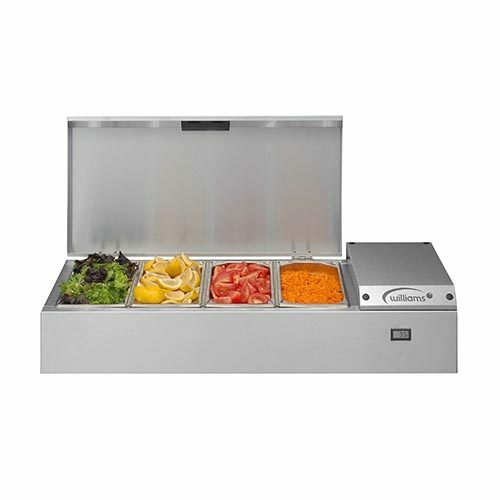 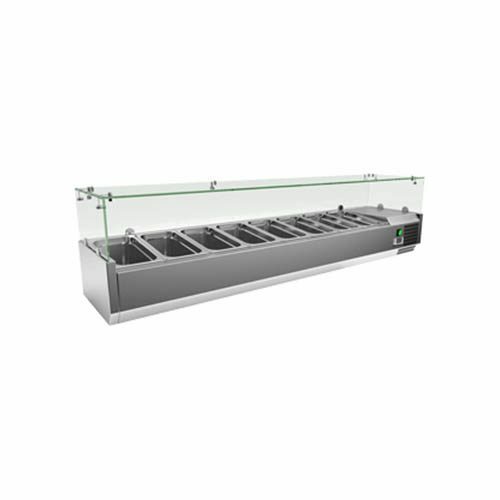 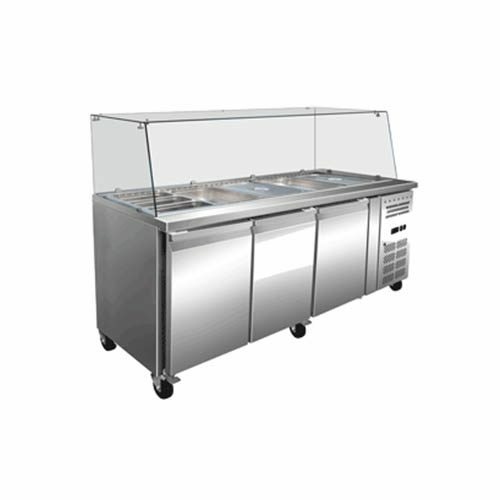 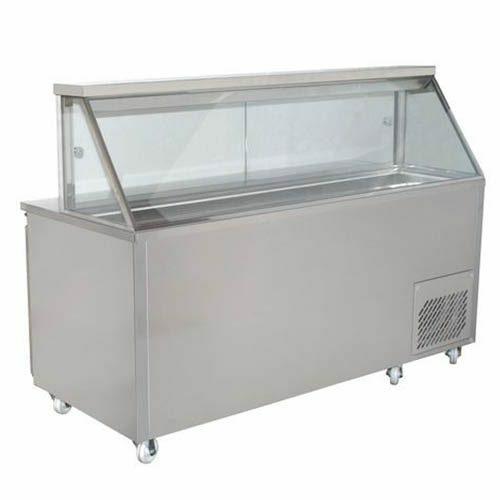 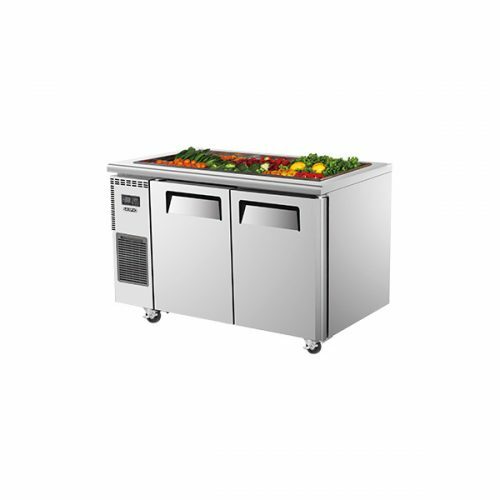 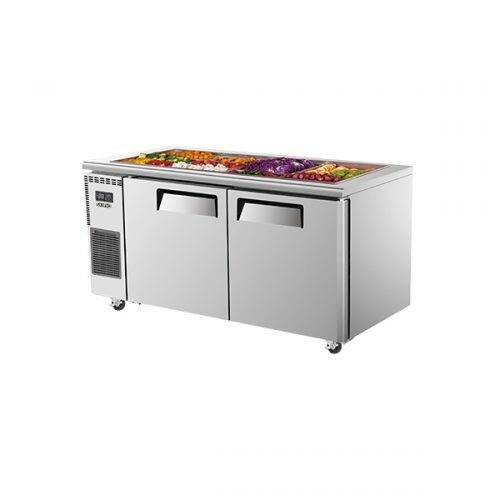 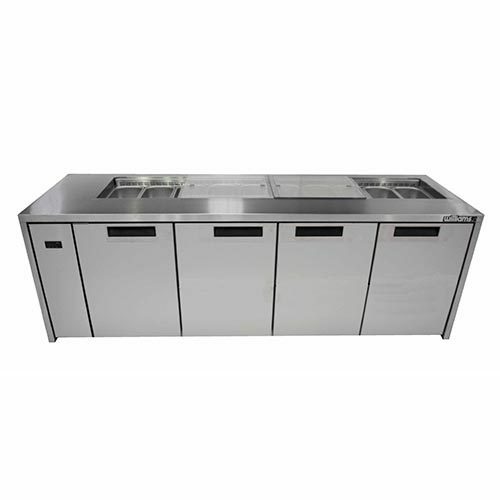 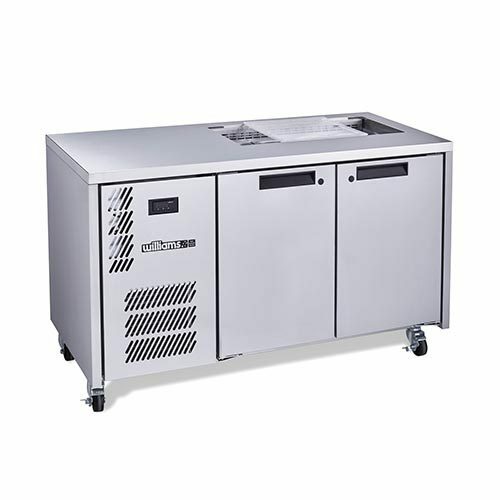 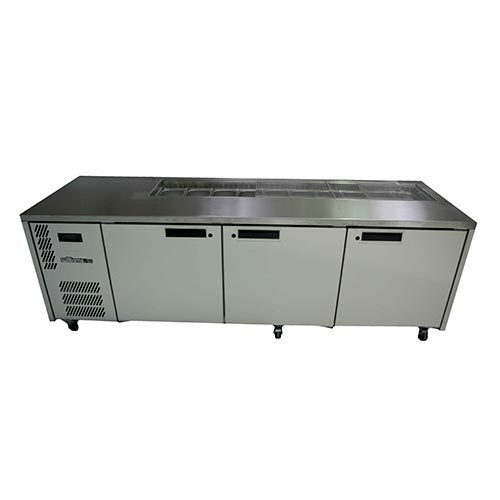 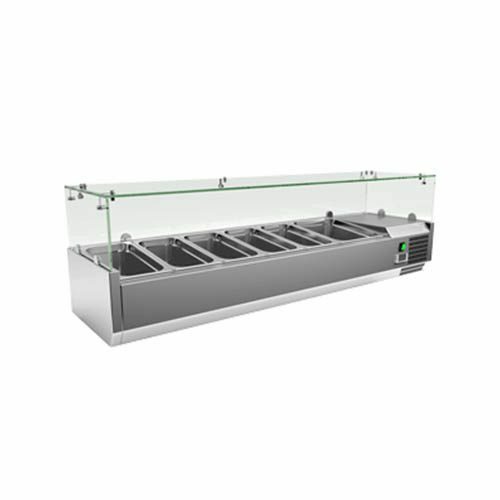 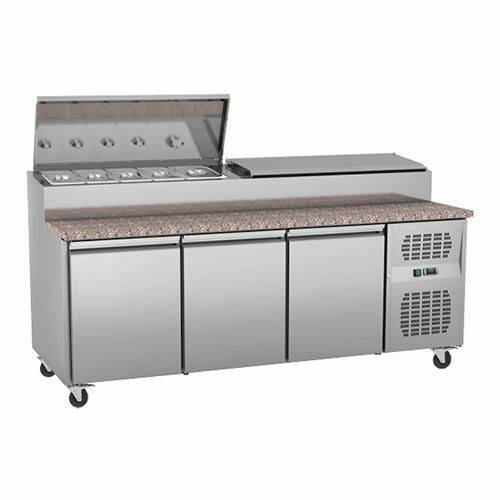 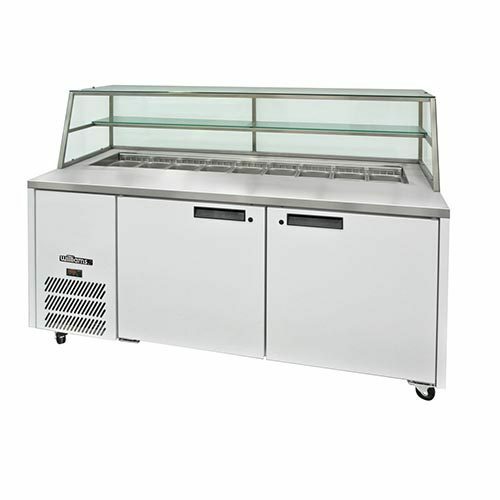 If you’re looking for a triple row of pots or a noodle bar fridge as they are called, this will take a full size 1/1 GN (530 × 325 mm) or they can be broken down into a combination of smaller stainless steel food pots. 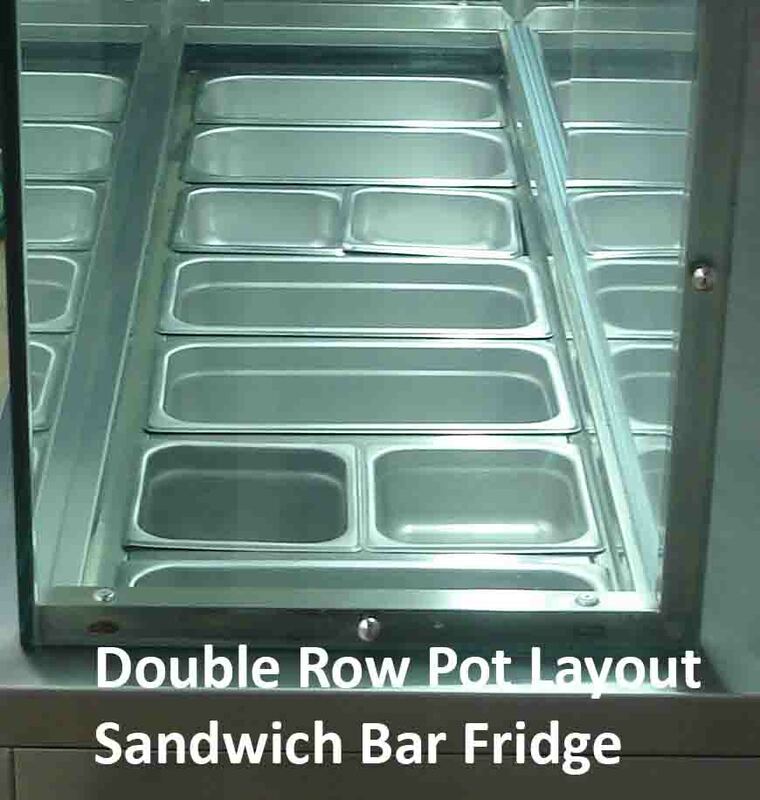 In this photo below, it’s showing stainless steel pots sizing of 1/1 GN, 2/3 GN, 1/2 GN and 1/3 GN. 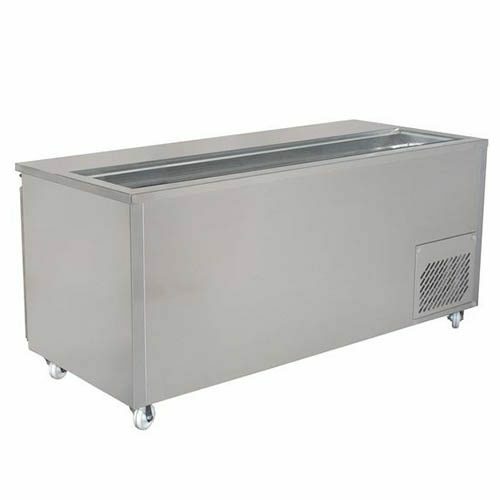 When choosing a pizza bar prep fridge, most of them DON’T have chilled forced airflow over the food pot, but just cold air underneath the pots to refrigerated the goods thats stored. 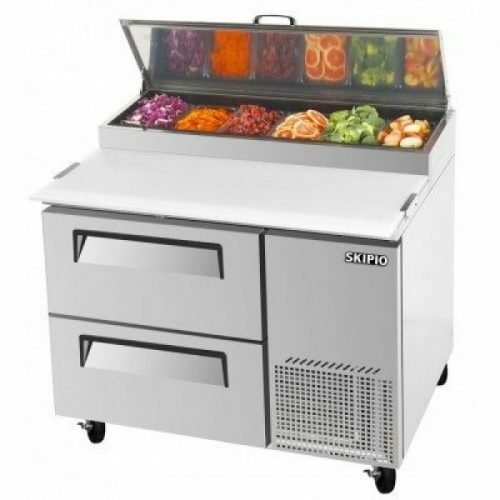 This is fine to have a pizza prep fridge like this, but it’s not advised to have the lid open for a long period of time as your salad’s and meats that are stored with rising in temperature to unsafe levels. 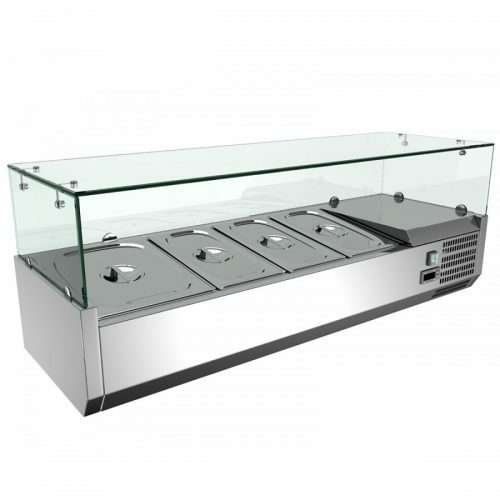 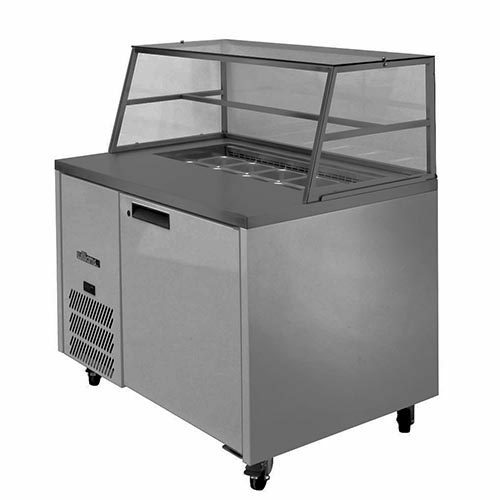 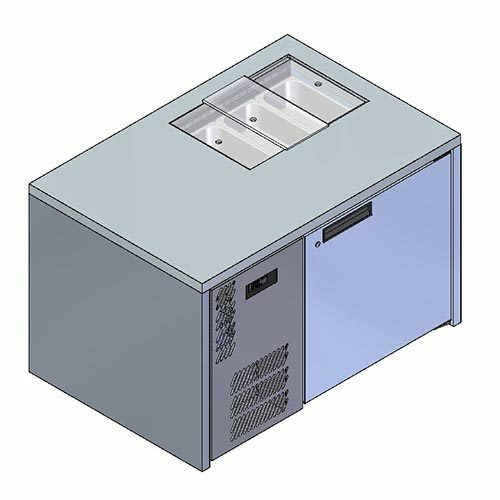 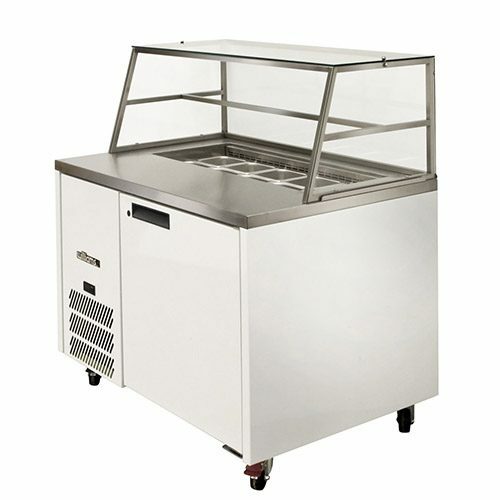 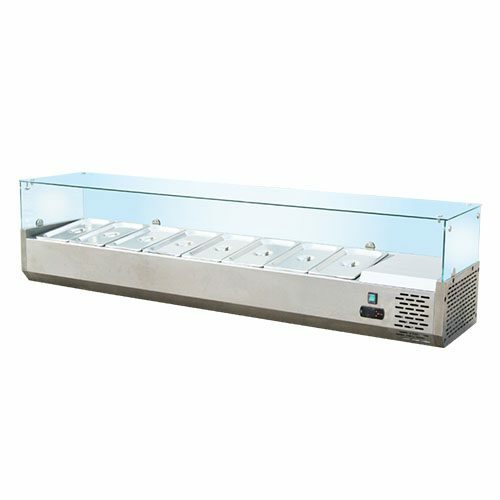 It’s our recommendation to choose a pizza cabinet that has the fan forced chilled airflow over the pots. 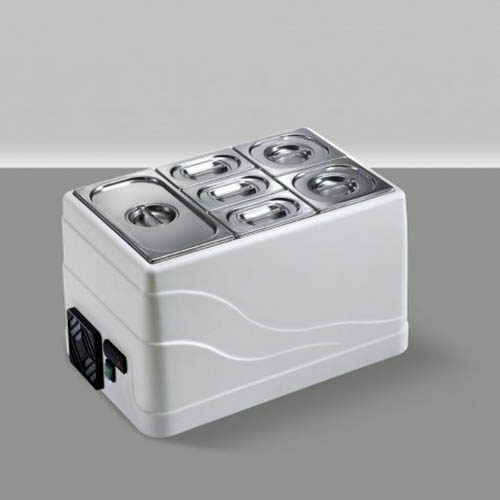 This gives you a constant safe temperature on your food storage. 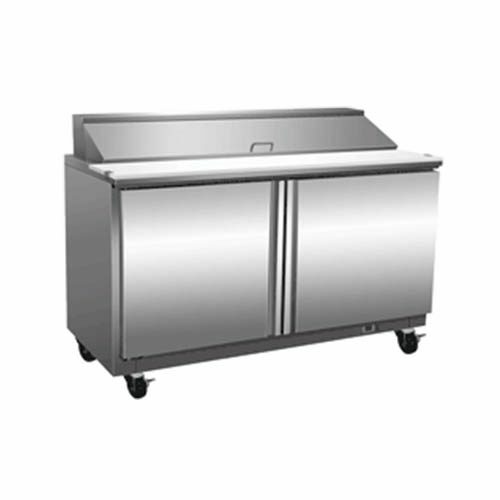 Also, most pizza prep bench comes with refrigerated storage underneath, this makes it handy for extra food storage. 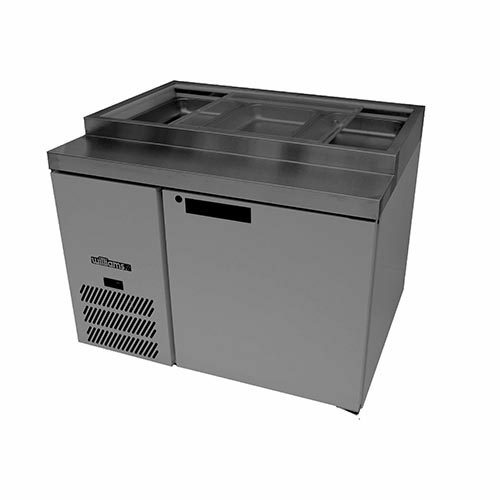 Also, We have a huge range of Multipurpose Display Fridges. 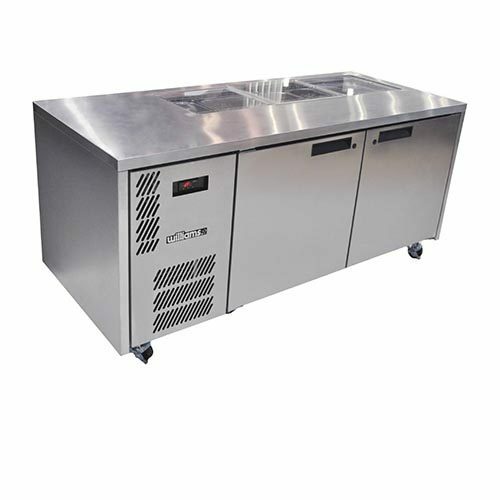 If you are in Melbourne, Sydney, Brisbane, Adelaide, Perth or Darwin. 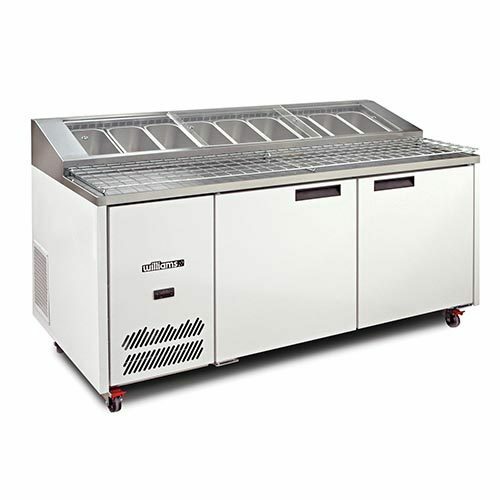 We even deliver to Tasmania on a weekly basis with service agents all across Australia after all.